The road rules refresher pocket guide outlines 10 common road rules. 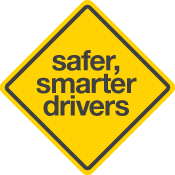 It also highlights certain behaviours that are major contributors to high risk driving and crashes. The pocket guide is available from Service SA, public libraries, local council offices, RAA and police stations, or you can print a copy here. Please note: The pocket guide is only available to South Australian residents, as the road rules may differ from State to State.